Following the end of the Vietnam War, significant numbers of Southeast Asians began settling in South Philadelphia, and the community continues to grow. From 1990 to 2000, Philadelphia's Asian population increased 55 percent, and the number of Asians living in the 9th Street Market area — primarily Vietnamese, Cambodians, and Laotians — tripled, comprising 13 percent of the neighborhood's population. 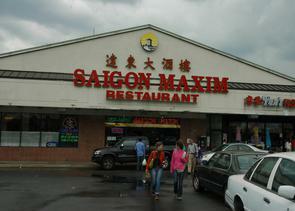 The Southeast Asian population has made its mark on Washington Avenue commercially and culturally, from Asian "mini-malls" to the Bo De Buddhist Temple at 13th Street. The oldest of these malls, Hoa Binh Plaza, was built on the site of an old lumberyard in 1990. It was followed by Wing Phat Shopping Center and New World Plaza. New World is the largest of the three and boasts 22 stores and eateries, including a supermarket, a "Vietnamese hoagie" shop, an optometrist, and a jeweler. Bahadur, Gaiutra. 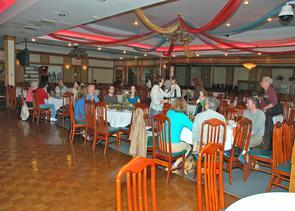 "An Asian Enclave Grows in S. Phila – Asians Are now 13% of the Residents in the Italian Market Area." The Philadelphia Inquirer, December 30, 2002. Pappas, Leslie A. and Gaiutra Bahadur. 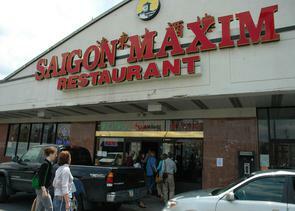 "An Infusion of Asian Flavor – Stores along Washington Avenue Showcase the Area's Diversity." The Philadelphia Inquirer, March 16, 2005. Van Allen, Peter. "Hot Real Estate May Cool Asian Scene." Philadelphia Business Journal, January 7, 2005.